Heading to Greytown with the family during the school holidays? 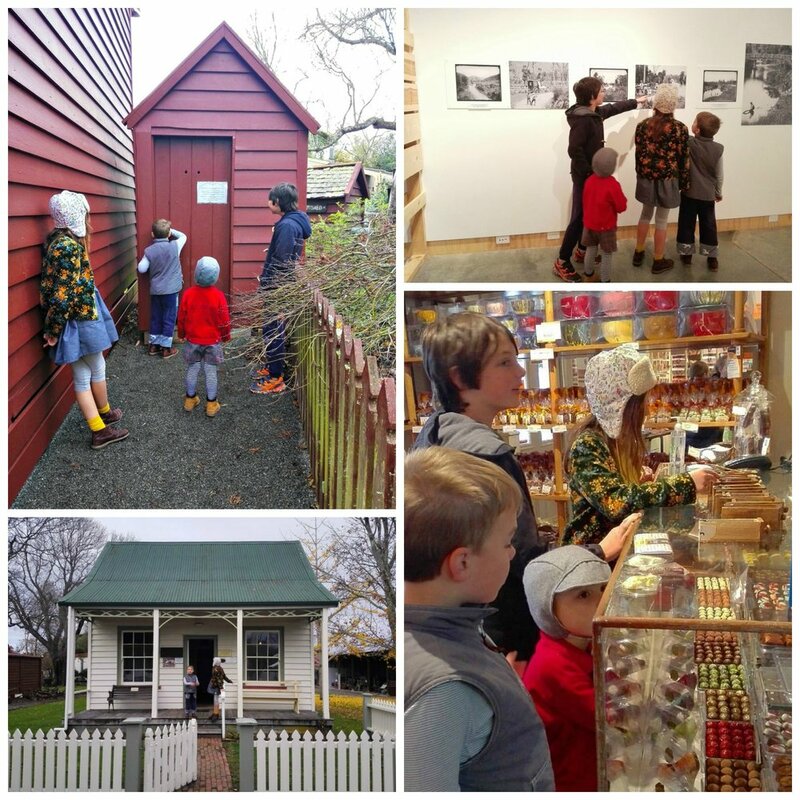 We asked four local children what they like to do in Greytown during term break. Cobblestones Museum is really interesting. We go regularly to see the exhibits. I love going to the printing shop where we get to use some old printing machines. We take turns at being the teacher in the old school house and climbing the stairs in the old cottage is a bit scary but exciting. But the best part is opening the door to the outhouse, there's a big surprise waiting! Sometimes for a treat, we are allowed to visit Schoc Chocolates next door and have a chocolate turtle, frog or heart. Best chocolate ever! I love going to Food Forest Organics. They sell yummy Nice Blocks. My favourite flavour is lemonade. While mum is having a look in the shop we eat our Nice Blocks in the tree house and play in their garden. I like to take my camera with me and take photos. The bean bags are fun to sit in too. I like riding my bike on the Rail Trail with my family. It's a fun and easy ride and you get to see farm animals on the way. If you bike to the end there's some photographs and information on the old railway. I like taking food and drink and we have a little picnic. Sometimes I get a little bit cold, so I wear my gloves. The playground is my favourite place. I see lots of my friends there. Sometimes there are birds there. I like the swings and climbing. There's a little bush walk too. The library is fun, they have lots of books, games and computers. All agree that The Offering is a great place for lunch (Charlie recommends the wedges) and have yummy hot chocolates. Cuckoo Pizza is a favourite place for dinner and has lots of picture books and boards games to play while they wait for their stone baked pizza. For accommodation ideas please visit our website here. We would love to hear about your school term break adventures in Greytown!